After reading by many netizens, the open letter spreads in the social media and it goes viral. The open letter to De Lima state that she should stop acting like an innocent behind her many issues and controversies because she is not. 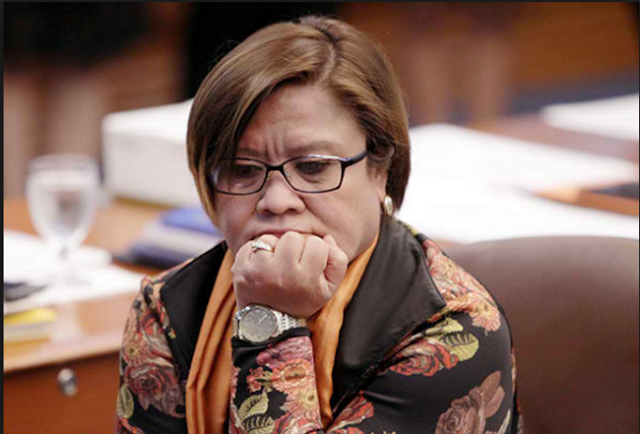 An open letter to Senator Leila de Lima posted by self-proclaimed Amir Assadolahi a Canadian political scientist to express his disappointment to Senator. I am a Canadian political scientist and also have studied psychology and sociology too, in addition, I have been following the Philippine politics and culture for many years and have been studying the Philippine history not only from books, but also from Filipinos themselves. I work with many of them as well! I know the Filipinos mental state when they are under pressure. My question is that how come Colangco is able to spill humor while testifying while himself is being incriminated and while he too may face more severe sentences if he was being under psychological and emotional strains and Senator De Lima claiming that he was tortured to testify against her? Madam Senator De Lima, you are an educated person and have been clever enough to mislead not only your people but also the world, but I doubt you are clever enough to escape this overwhelming evidence against you. Your title, your education and your position has no power if you are being impeached, and if the evidence against you is going to put you behind bars, you should start bargaining and testifying against those higher-ups in your crime and drug network as well as those people with domestic or foreign interests who you lobbied for them and they lobbied for you for other things that allowed them to take advantage of your position in the government! Why? Because you would not have been able to pull this off all by yourself. The government already has evidence against those higher than you in this criminal acts for drugs and other acts, but it is better for you to come clean publicly, and stop playing politics. In your speech, I heard a lot of labeling by you against those who are impeaching you. If you were not guilty, you would not need to label them at all. You should have allowed the investigation take its course, and let the evidence speak by itself. Moreover, you have already harmed enough the credibility of the new President, the Philippine Government and with it the prosperity of your people, but despite of your “political games,” the new President and the new Philippine Government has become more popular globally and domestically, and has shown the power of democracy in action! Although he (the Philippine’s New President – Mr. Duterte) speaks in a simple way, he speaks the language that all Filipinos understand, because he is serving the people of the Philippine, because he has no needs for fancy language as much as you enjoy using! He truly wants to give all his energy and skills to make Philippine great for the Filipinos and allow businesses grow in the Philippines. By the way, most of the people don’t understand some of the meaning of the fancy labels you use to discredit the “Government of the Philippines” by labeling the President and the Senate who are impeaching you and ousted you from your seat of power. You have been attacking him for many years on his fight against drugs and creating his city a safe and secure city while he was a Mayor. Why? Because you and your lobby network lost a lot of drug and crime related businesses! You should know that and I am sure you already know that the people who would lose from your being incriminated have already taken the precautions against you to protect their own tails (because they are more clever than you are) and you know that already, and your days are numbered (and you know that too), because you are a high target profile for them now. You are sinking so fast, and just grasping for air and trying to grab and pull-down with you the people who want to save you too, and so everyone is staying away from you! that would make the President and his government become more popular, because he has already made his mark in the world history. Just let the investigation take its course, and ask for the state witness protection while yourself being investigated to just be on the safe side of things! Your political career, as well as business chances, are all gone globally, and nothing can bring it back. Many people in the world are following the progress in the Philippine now that your new elected President by popular vote has made and is continuously making the Philippine more secure, and though his approach is not “Western”, there are many foreign investors and nations around the world already investing in the Philippine and its future much more than before, and you can see that trend on the increased value of the Philippine Peso already by seeing it steadily going up securely! All you have to do is to be behind your President and Government 100% and protect him from domestic and foreign enemies. Your President is one of few historic and Charismatic Leaders that show their face every few centuries when crisis show their face, and those who are comfortable with the “status quo” (existing political, social,economic affairs, etc) feel threatened by the people like your President. You are very lucky to have him as your President. There are many powerful domestic and global figures/actors/players (political actors or players are political science terms) that are being threatened by your President’s war on drugs, crime, lawlessness and poverty, and they have put the wheels in motion to get rid of him through covert operations, political, social and economic pressures. You President knows that, and if he did not survive the domestic and global ganging against him, you all must continue his work. To all readers, thank you for your kind comments and requests to repost my thoughts here. I do my best to respond back to all, and if I could not, please feel free to repost the comments I have made and you wish to repost.